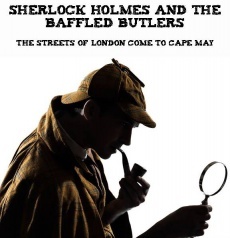 Sherlock Holmes and the Baffled Butlers is an American play performed at Elaine's Cape May Dinner Theater (Cape May, NJ, USA) from 14 april 2017, starring Parker Smith as Sherlock Holmes and John Alvarez as Dr. Watson. 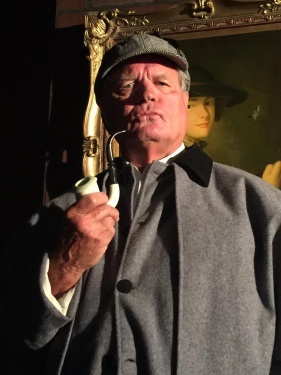 Sherlock Holmes and his partner in crime-solving, Dr. John Watson, investigate a seemingly impossible crime. 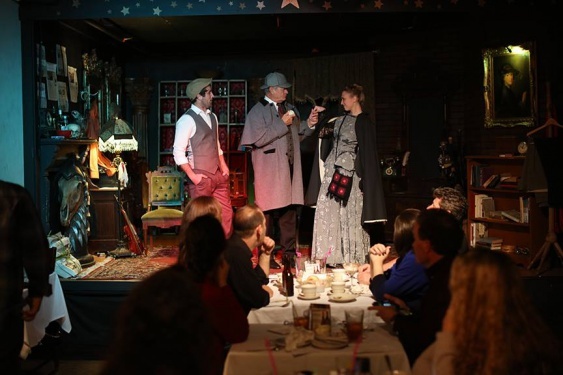 Death, murder, singing and dancing! This page was last edited on 17 January 2018, at 11:54.